Daniel Yankelevits, one of the top legal executives at Sony Pictures Entertainment, has asked Google to remove a leaked email published by Wikileaks after the 2014 hack. The top executive used a copyright takedown notice to bury an email which exposes his personal salary, claiming "it's not right." 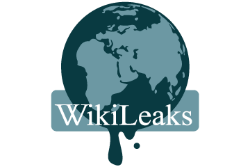 Last year Wikileaks published a searchable database of the emails and documents that were exposed following the Sony Pictures Entertainment hack. Journalists had already picked out the most juicy details during the months before, but Wikileaks opened it up to the public. This also allowed search engines such as Google to index all leaked emails, which made them even more widely accessible. At Sony they were not happy with the exposé and one of the company’s top executives recently decided to take action. A few days ago Daniel Yankelevits, Senior Vice President Legal Affairs at Sony Pictures, sent a DMCA takedown request to Google asking the search engine to censor Wikileaks’ archive of the hacked emails. Interestingly, this request appears to be personally motivated, as the only email highlighted is about Mr. Yankelevits himself. In the email, the human resources department informs the company’s chief counsel Leah Weil that Yankelevits’ salary will increase from $320,000 to $330,000, as his contract allows. “Daniel’s contract provides for a discretionary annual increase on 3/1 and compensation has come back with a recommendation of 3.1% taking him from $320,000 to $330,000,” the email reads, asking Weil if she approves. Sony Pictures’ VP of Legal Affairs is not happy that his salary details are now out in the open. Not least because it appears at the top of Google’s search results for his name. While the desire to have this email scrubbed from the Internet is easily understood, using a copyright claim to achieve this is questionable. First of all, the reason for the takedown request is that “it’s not right,” which is a rather meager motivation for the Senior Vice President Legal Affairs of such a large company. “My salary is in Google due to Sony Hack wikileaks.org/sony/emails/emailid/103755 please remove the above on your results page. It’s not right,” it reads. Secondly, the DMCA notice itself is inaccurate and incomplete. Technically, the takedown request asks Google to remove the homepage of the leaked email archive, claiming that the email published by Wikileaks is the original content. In other words, even if Google did comply the email discussing the salary would remain online. What raises the most eyebrows, however, is that the request is personally motivated and has very little to do with copyright. Yankelevits is neither the sender nor the recipient of the email, so even if copyright was an issue, the fact that his salary was exposed is totally irrelevant. While Sony Pictures Entertainment is listed as the “copyright holder” in the DMCA notice, it’s unknown whether the company is aware of the takedown attempt. Ironically, the takedown request is only destined to make matters worse for the Sony Pictures’ legal executive. Google has refused to remove the email, so instead of covering it up, Yankelevits has put a big spotlight on his salary. A classic example of the Streisand Effect.